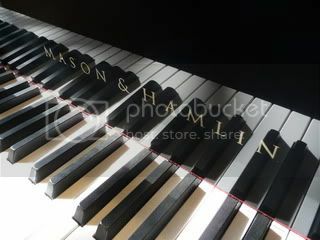 Mason & Hamlin: The only piano ever considered to have exceeded the Steinway in lush, singing, American piano sound. 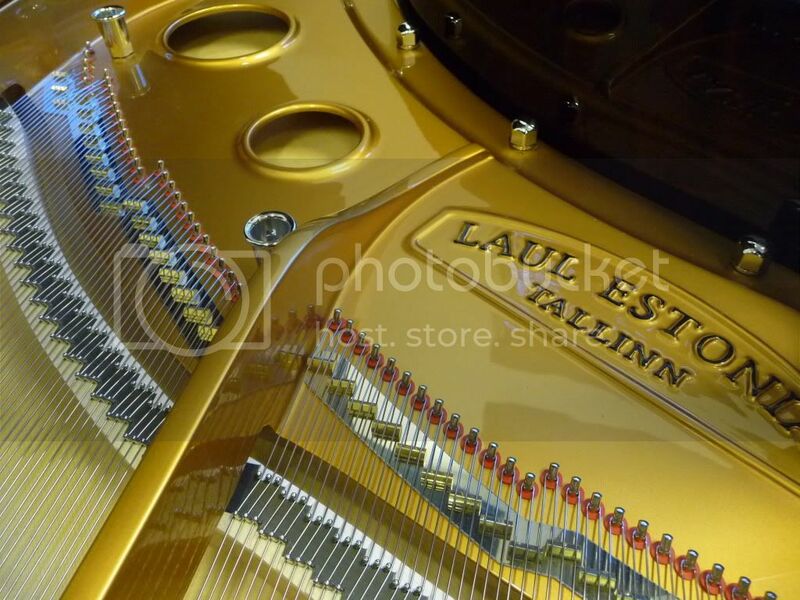 Estonia: A 100% European hand made piano rated among the world's best pianos including Steinway NY by Pianobuyer. For substantially less than the cost of a new Steinway and with higher quality features, you can own a 100% European or American hand-made performance grade grand piano - a true masterpiece of heirloom quality. You will notice an immediate difference upon inspection! Fantastic quality control in all cosmetic details and rock solid contruction. These pianos have a very special feel and sound quality not found in most pianos and certainly no others in their price range which is just slightly more than a mass produced Yamaha, Kawai, or Boston. Incredibly, the Estonia pianos are in the same price range as Steinway's Boston piano which is made in Japan by Kawai. Yet the Estonia pianos closely resemble the Hamburg (highest quality not sold in the US) Steinway in tone and touch and are easily comparable to pianos double their price - seriously! 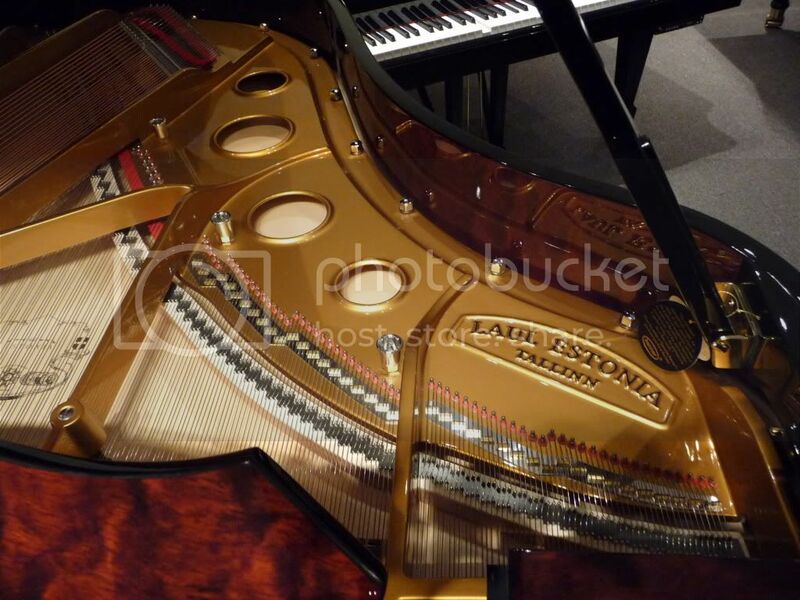 Estonia pianos have complete Renner actions made in Germany which are also used in other highest quality pianos. 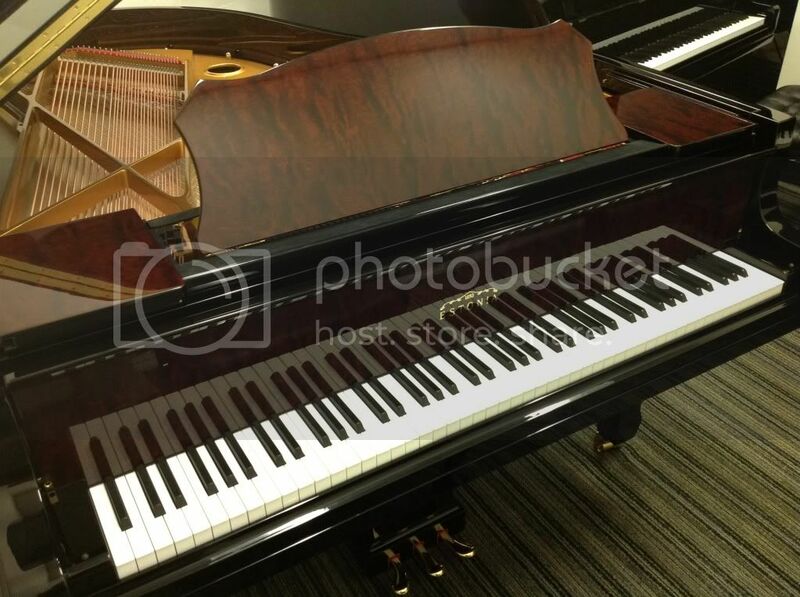 The piano shown below is the Estonia Model 190 (6'3") Grand Hidden Beauty in Ebony Polish with Bubinga trim. Please call Nick for pricing at 941-485-1820, since my prices are too low for manufacturer's permission to advertise, and this is internet policy in the piano business. 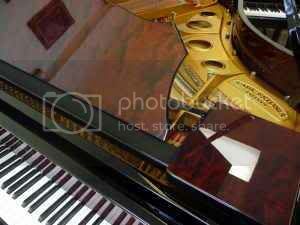 These are verifiably the highest quality new pianos in Tampa, Sarasota, Fort Myers, or Naples for the price offered.